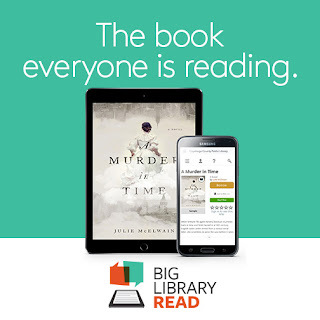 Have you ever wanted to try an eBook Club with your patrons? If your library uses OverDrive, now is your chance to try it out! 1. This title was selected in a survey of over 20,000 OverDrive readers! Even if only 10% of these people participate, it'll be a vibrant community. 3. 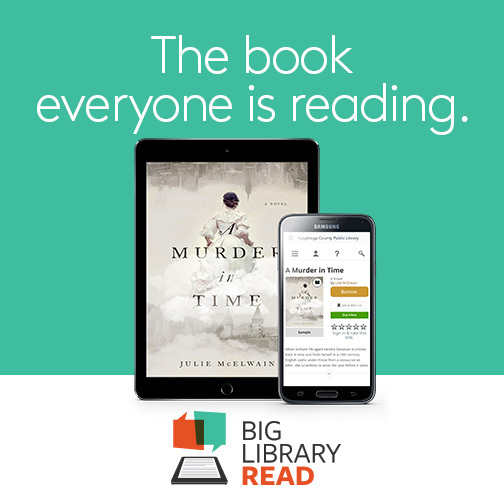 It is a great way to introduce patrons to your eBook collection, getting a feel for how it works and how easy it is to use (and getting them to look beyond the bestsellers). 4. OverDrive created a marketing kit to help you get the word out! They designed professional images for social media, fliers, a press release, and more that you can modify and use. 5. OverDrive has an online discussion board for all participants and they also provided libraries with the discussion questions, if you want to host your own event. They even have an interview with the author, which you can share with your patrons. It might be too late to fully participate this year, but it only takes 5 minutes to print out the fliers and post on social media about this program. Being busy librarians, it is so nice to have the hard work done for us! We at 5minlib give three cheers to OverDrive! So, how about we work together to get the word out and make this program successful? A win/win for all!